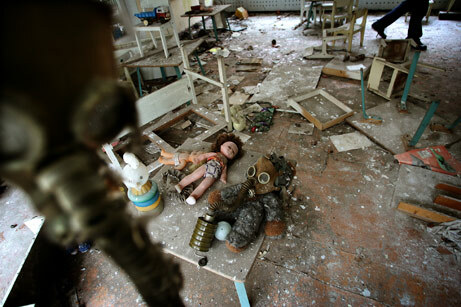 The Chernobyl Power Plant located outside the town of Pripyat, Ukraine (11 miles from the city of Chernobyl) began construction in the 1970s with the first reactor. Over the next few years three more reactors were added and two more were in the middle of construction at the time of the disaster. On April 26, 1986 at 1:23 a.m., the no. 4 reactor was shut down for maintenance. An experiment was being performed to test a safety emergency core cooling feature during the shutdown procedure. It's uncertain as to what exact processes led to the explosions but a disruption in regulation seem to be a part of it.